Julie is married with two children. She enjoys hanging out with friends and family. She started working full time with her father at Ginman Tire in 1999. She enjoys building relationships and providing knowledge and great service to her customers. Ginman Tire in 2002. He takes pride in providing a product that is safe, reiable and long lasting. Great Service and Great Customer Relationships has been a Family Tradition here at Ginman Tire. Ginman Tire Co. has kept pace with a changing auto service world. We have been in business for more than 75 years, but one constant has been family ownership. Ginmans’ has evolved from its roots as a gasoline and tire store during The Great Depression to today’s position as a West Michigan leader in Commercial Tire Retreading. The family’s tradition of business ownership began early this century when Bert Ginman arrived in Muskegon from England to establish a one-man boat-building company. During the Depression, his son Herb Ginman said jobs were scarce and he took a job at a Mobil gas station, working as the assistant manager in a two-person business. At one time, Herb Ginman owned or operated about five gas stations in the area, but his longest-lasting business was Ginman Tire and Oil Co., which he opened in 1934 near the Muskegon Yacht club. After several moves, the store was located at Fourth Street and Western Avenue, where Herb Ginman ran the business from 1944 to 1965. The company eventually moved to its current location on Clay Avenue and Eighth Street. Herb Ginman continued working up to the age of 73. Bill Ginman, his son came back to Muskegon to work in the family business in 1977. Prior to that he was an Engineer and had taught Mechanical Engineering at the University of Ottawa, Canada. About 10 years later, he bought the business from his father and now, almost 20 years later, the business is being run by the third generation. Julie Hunter, his daughter is now managing the business . She earned an undergraduate degree in Sports Management and Communication from the University of Michigan and a Masters degree in Business Administration from Grand Valley State University. 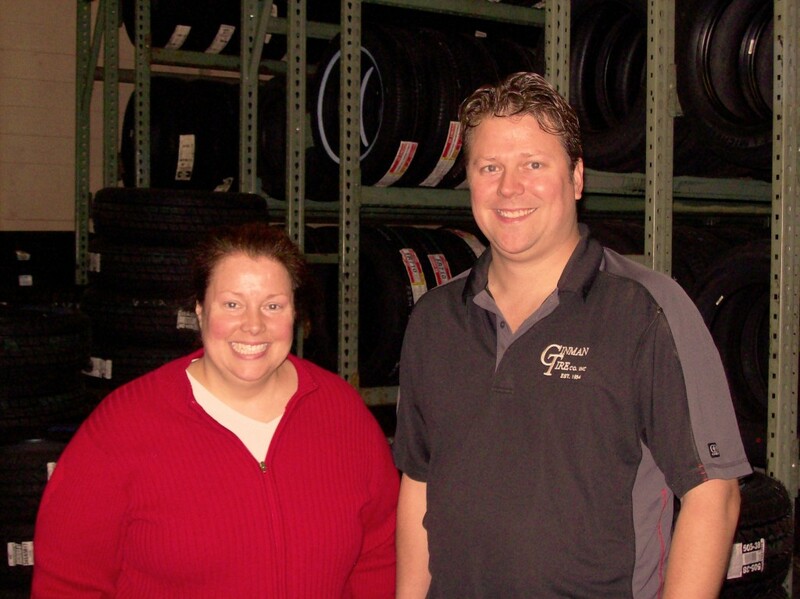 Like her father, Julie worked outside the family business before coming to work at Ginman Tire in 1999. Another third-generation Ginman is also working at the store. Rob Ginman joined Ginman Tire in 2002. He is managing the Retread Shop. He earned his Bachelors degree in Business Administration from Western Michigan University as well as his Associates in Arts degree from Muskegon Community College. He has worked as a certified Internal Auditor for several companies before joining Ginman Tire.